There are few films in history that represented more of a quantum leap in special effects technology and presentation than Steven Spielberg’s original Jurassic Park in 1993, but all too often, sole attention is placed on the role the film played in the transition to modern CGI. It’s sometimes easy to forget that Jurassic Park’s other mammoth contribution to the FX game was a series of incredibly sophisticated animatronic creations, most of which still look amazing when you rewatch the film to this day, 25 years later. I mean really—these guys basically built a fully functional, life-sized T-Rex. In 1993. And it still looks amazing. That, in itself, is incredible. Over the years, the Jurassic Park sequels have become associated more with CGI dinosaurs, which is to be expected in a Hollywood system that has become increasingly dependent, even in its big budget blockbusters, on computer-generated imagery. That is, apparently until the upcoming Jurassic World: Fallen Kingdom, which will apparently feature more animatronic work than any of the other Jurassic Park sequels to date. Color us intrigued. 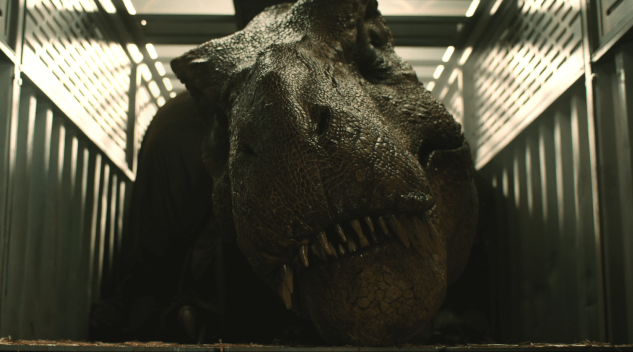 According to Fallen Kingdom producers Frank Marshall and Pat Crowley in an interview with Slashfilm, audiences will get a chance to see just how much animatronic technology has advanced in the last 25 years. The advancement of this technology isn’t only novel; it’s entirely necessary for this kind of tech to be used on screen in a meaningful way. As screen resolution has gotten crisper and we’ve all become accustomed to watching images projected in extreme HD, animatronics must become that more detailed and lifelike just to keep up. Given the story of Fallen Kingdom, it makes sense that they would come back into the franchise in a greater role at this point, because this film apparently represents a striking departure from the outdoor, “lost on an island” ethos of previous films in the franchise. Rather, more scenes of Fallen Kingdom will take place indoors, in close proximity to dinosaurs. One can assume that this will be where we’ll see the majority of the animatronic work, but it will be fascinating either way to see if they’re noticeably different in appearance from the CGI dinos. Regardless, the mere fact that we’ll be seeing a new life-size T-Rex animatronic is an exciting one. It begs the question: Once production is complete, who gets to hang on to that robotic Tyrannosaurus? And can we rent it for a child’s birthday party?